Hello and welcome to my website. I am John Aitken, the Bowler Hatted Turner. 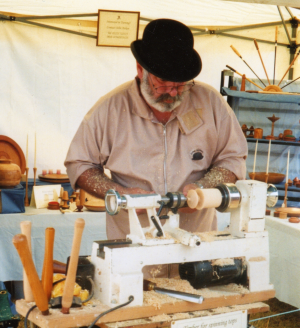 As the name implies I wear a bowler hat when woodturning at craft shows, my theory being that people cannot remember names but they never forget a hat! Over the years I have turned a wide range of things from bowls and goblets for craft fairs to newel posts and spindles for joinery manufacturers, I have turned replacements for the antique trade and wedding gifts for newly weds. I also give woodturning lessons to aspiring turners. 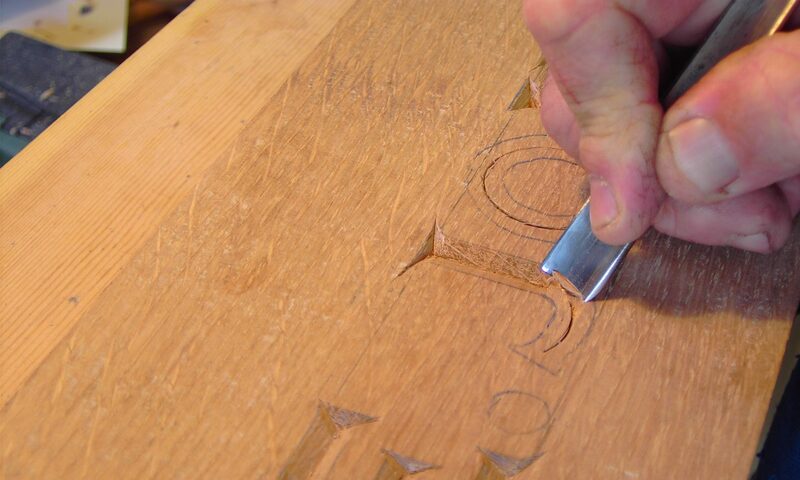 I source my timber from local sawmills and scrounge offcuts from the joiner’s shops in my town. If I use exotic timbers I always buy from FSC accredited suppliers and as most turners know, there is no shortage of people willing to give away trees that have been blown down or chopped down due to various reasons. I have worked with wood most of my life and could not imagine working in any other medium, the grain, the smell, the feel, the irregularity only enhances the beauty of this wonderful material.